Norway’s government kicked off a process that could open its $880 billion wealth fund to invest in infrastructure and to increase its share of real estate to spread risk and boost returns. The government appointed an expert group that will report back no later than November 2015, according to a statement from the Finance Ministry. “It’s important to consider the effect on expected returns and risk of opening up for unlisted infrastructure and increasing investments in real estate,” Finance Minister Siv Jensen said in an interview after a press conference. The government has so far hesitated to let the fund expand into unlisted investments such as infrastructure. The fund is mandated by the government to hold about 60 percent in stocks, 35 percent in debt and 5 percent in properties. The investor, which gets its capital from Norway’s oil and gas wealth, has been lobbying to be allowed to move into new assets such as private equity to boost returns. It also proposed to expand the central bank’s board by one more deputy governor to improve oversight and broaden the institution’s competence on investment management. The fund is a part of the central bank, which now has one permanent deputy governor and one governor. Debate has been swirling over whether tighter oversight is needed for the fund, which owns 1.3 percent of global stocks, as it looks at broadening its asset base. Control of the wealth fund is split across various units in the government and the central bank. Norway’s biggest opposition party, Labor, will support the proposal to add a deputy governor, said Torstein Tvedt Solberg, a lawmaker on parliament’s Finance Committee. “The steps they are taking are very good,” he said. The government also decided to follow the advice of a report it mandated last year not to exclude investments in companies producing coal or other fossil fuels. 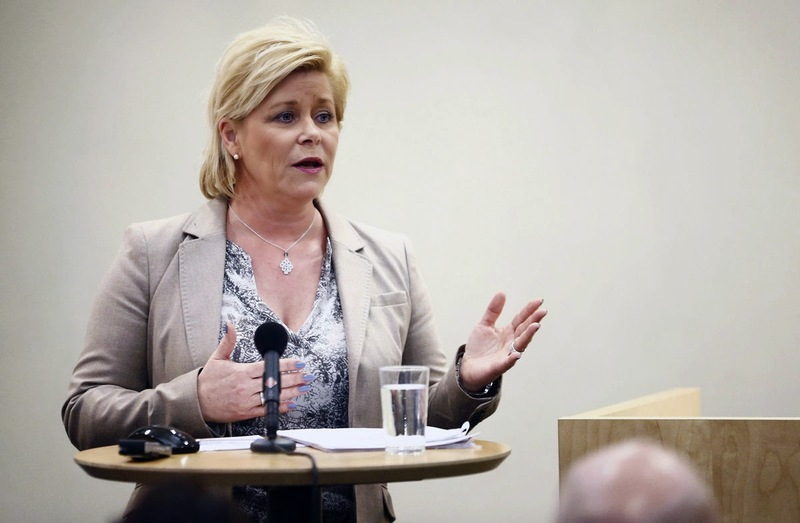 Labor criticized that decision, vowing to seek a parliamentary majority to override the government on coal investments, Tvedt Solberg said. The expert group on infrastructure is comprised of Stijn Van Nieuwerburgh, a professor of finance at New York University’s Leonard N. Stern School of Business, Richard Stanton, a professor of finance and real estate at the Haas School of Business, University of California, Berkeley and Leo de Bever, a former Bank of Canada official and pension fund executive. The former CEO of the Alberta Investment Management Corporation (AIMCo) is to join a panel of experts to advise the world’s largest sovereign wealth fund on how to invest in—and make more from—real estate and infrastructure. The three-strong group will include Leo de Bever, who oversaw significant investment in real assets at AIMCo, Professor Stijn Van Nieuwerburgh of New York University and Richard Stanton, professor at the University of California, the Norwegian government announced today. In December, the Norwegian Finance Ministry said it would assess whether its 5% cap on real estate investment should be increased, as well as whether to permit the Norway Pension Fund-Global to invest in unlisted infrastructure. At the end of the year, just 2.2% of its $885 billion was held in real estate. The government also announced it would be reviewing the investment advice given to the fund. The report, which is being submitted to parliament, proposes that the tracking error for the global fund against its benchmark be increased to from 1% to 1.25%. This will be accompanied by new requirements in the investment mandate for the fund, including supplementary reporting of the risk involved in asset management, the minister said. Additionally, the central bank is to appoint a committee to review the Central Bank Act and the governance of Norges Bank. This group, led by a former governor of Norges Bank, “must take into account Norges Bank’s responsibility for the management” of the fund, the minister said. Last year, Norges Bank announced a shake-up of the fund’s hierarchy and asset class silos. Two new CIO positions were created alongside that of a chief risk officer. So the world's biggest sovereign wealth fund is slowly moving more assets into real estate and looking to invest in infrastructure and possibly private equity. Among their advisers, they hired an industry veteran with deep knowledge of infrastructure to inform them on how to proceed. They sure picked the right people to advise them but in this bubbly environment where every large global pension and sovereign wealth fund is chasing private market assets to enhance their yield, it won't be an easy task, especially for a mega fund with $890 billion under management. Moreover, like most global investors, the Oslo-based fund is trying to navigate uncharted terrain as central banks across the world push out stimulus to protect economic growth and spur inflation. Interestingly, the Fund is pouring a bigger share of its cash into Africa in a bid to capture some of the fastest growth in the global economy. The Government Pension Fund Global seeks to take advantage of its long-term outlook and considerable size to generate high returns and safeguard Norway’s wealth for future generations. The fund holds 60 percent of its assets in equities, 35 percent to 40 percent in fixed income and as much as 5 percent in real estate. The investments are spread globally outside of Norway. Norges Bank Investment Management seeks out exposure to risk factors that are expected to generate high returns over time and identifies long-term investment opportunities in specific sectors and companies. The fund invests for future generations. It has no short- term liabilities and is not subject to rules that could require costly adjustments at inopportune times. The fund can withstand periods of great volatility in capital markets and is able to exploit opportunities that arise when other investors are forced to make short-term decisions. A good long-term return depends on sustainable economic, environmental and social developments. Environmental, social and governance risks are considered in the fund’s management and exercise of ownership in companies. Indeed, Norway plans to drop investments in companies emitting unacceptable amounts of greenhouse gases in a sharpening of environmental rules for its $890 billion sovereign wealth fund, the Finance Ministry said on Friday. Petter Johnsen, chief investment officer for equity strategies at the oil fund, told the Financial Times that the main goal was to increase transparency – one of the main requirements of the Norwegian government. When I wrote my infamous report on the governance of the federal public service pension plan for the Treasury Board back in 2007, I cited Norway as an example of a global leader in terms of governance. I hope they are able to maintain a high level of transparency as they shift more assets into private markets but this won't be easy if they choose to invest in funds or co-invest with top private equity funds which are secretive by their very nature. Still, Norway's mega fund is a huge player and I'm sure these PE funds will cede a lot to it in terms of disclosure and fees (trust me, they will bend over backwards for Norway, especially now). You can read the latest annual report governing Norway's sovereign wealth fund here. It provides detailed information on all their investments, including their investments in real estate. In terms of infrastructure, they will likely invest directly just like CPPIB and other large Canadians pension funds are doing but given their size, pricing discipline will be extremely important when they look at huge deals. They may need to partner up with other large global funds to invest in this space initially. Like other huge sovereign wealth funds, Norway's mega fund has advantages over large global pensions because it's only focusing on long-term performance, not managing assets with regard to liabilities. But its sheer size poses huge governance and investment challenges because its managers need to scale into very big deals or else they won't achieve their allocation, especially if public markets keep soaring to record highs. One area where Norway is steering clear of is hedge funds. I'm sure the Bridgewaters of this world have approached it but so far Norway's mega fund isn't following the United Nations and the rest of the pension herd into hedge funds, which is why it's outperforming all of them since the financial crisis erupted in 2008 (does a sovereign wealth fund with a long, long view really need to enrich grossly overpaid hedge fund managers?!?). Finally, Susan Ormiston of the CBC recently reported that Norway’s sovereign wealth holds lessons for Canada, outlining how Norway's riches have led the tiny country on a much different path than the one chosen by other governments, including Alberta. The conservatives in that province immediately criticized her report, stating Alberta is not Norway, but the reality is Alberta bungled up its oil wealth and it will pay a heavy price for not following Norway more closely (watch the CBC clip on how Norway became rich on oil below).